The Canon 5D Mk III is the advancement that started the DSLR revolution. 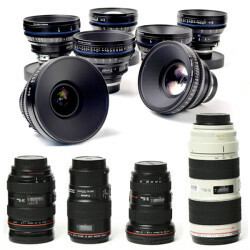 Further spurred on by the large range of reasonably priced Canon stills lenses, it provides professional and pleasing HD images and has been a consistently popular camera in the DSLR market. The Canon 5D Mk III has two major problems when shooting video, the first is the lack of a decent viewfinder, as its proper viewfinder is optical and cannot be used when recording video. Its second major problem is the sound, which in its normal configuration is noisy to the point where I would consider it unusable, even with an external microphone. 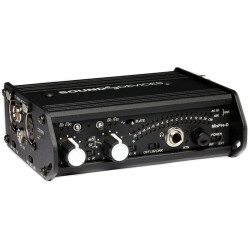 However with some experimenting and using the mixed 3-D mixer with our special leads you can record usable sound on it. 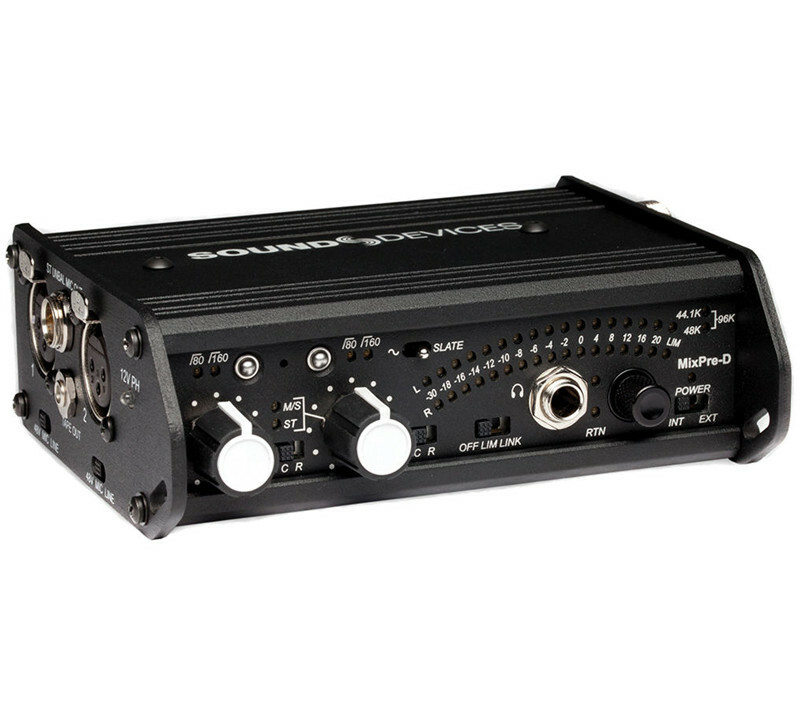 This is done (for the technically minded) by putting in an attenuated line level signal at the maximum possible level thereby being able to run the internal noisy amplifiers as low as possible resulting in a considerable reduction in the recorded noise level. We provide solutions to both these problems with HDMI input video monitors and our compact Mix Pre-D sound mixer, with specially designed audio input cable for ultra noise reduction. Despite the drawbacks of an older digital camera, with the Canon 5D Mk III it’s possible to produce some fantastic results. The Canon 5D Mk III DSLR Camera is a full-frame 22.3MP DSLR featuring exceptional still image and movie recording capabilities. Integrating Canon 5D Mk III’s new DIGIC 5+ Image Processor and 14-bit A/D conversion, the Canon 5D Mk III is able to produce superbly detailed imagery with immense low-light sensitivity that is further aided by an extended ISO range up to 102400. Image quality is further enhanced by the new 61-point high density reticular autofocus, including up to 41 cross-type AF points and 5 dual diagonal AF points for ensured sharpness. iFCL metering works in conjunction with the AF system and uses color information from scenes to produce accurate exposure readings using a 63 zone dual-layer metering sensor. HDR and Multiple Exposure modes provide greater creative opportunities and help you to reduce the amount of post-production time needed to produce high quality imagery. The Canon 5D Mk III is also capable of recording full HD video with manual exposure control and in multiple frame rates, including 1080/30p and 720/60p. Still images can also be recorded up to 6fps. 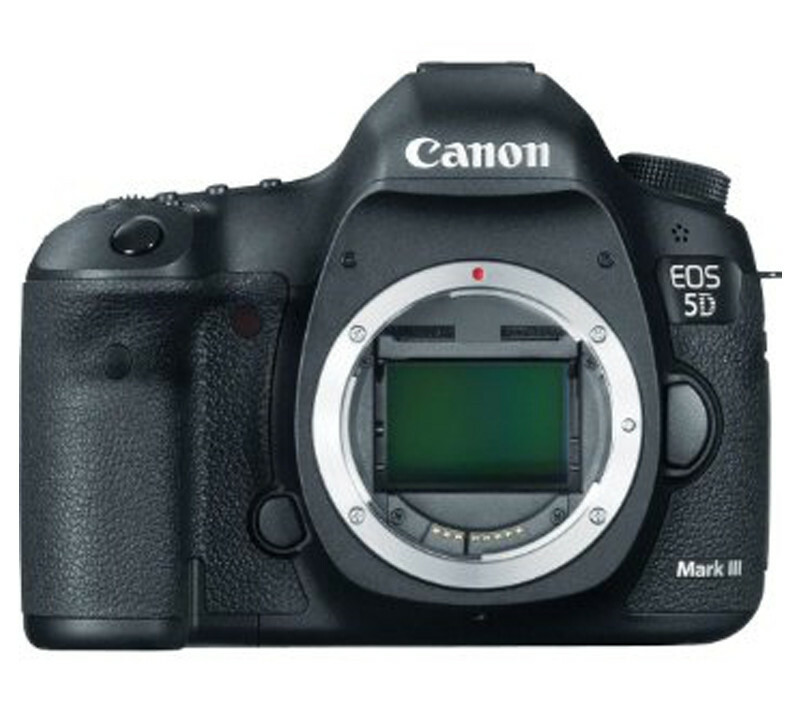 A highly durable magnesium-alloy body of the Canon 5D Mk III surrounds the components and offers increased dust and weather resistance. An updated EOS Integrated Cleaning system also helps to reduce and remove dust within the Canon 5D Mk III’s body. Several of the physical controls on the Canon 5D Mk III’s body are fully customizable for a more efficient workflow and more convenient handling scheme. Dual CF and SD memory card support also increases the compatibility of the camera. Support is also provided for the optional Canon Wireless File Transmitter and GPS receiver for remote logging, tracking, and sending of your imagery. A newly designed 22.3MP full-frame CMOS sensor is incorporated into the Canon 5D Mk III with highly detailed, rich images with a maximum resolution of 5760 x 3840 pixels. The sensor is also features a high S/N ratio and larger individual pixels for increased visual depth and cleaner looking images. A new photodiode structure and increased photoelectric conversion rate also helps to improve the overall sensitivity of the sensor, resulting in a reduction in image noise and improved high ISO performance. Processing speed and power are increased to promote significantly greater overall performance and response from all aspects of the Canon 5D Mk III. New algorithms are incorporated in order to promote better noise reduction for higher ISOs and chromatic aberration compensation. The increase in processing speed also helps to improve the continuous shooting rate, bringing it to 6 full-resolution frames-per-second. The 14-bit signal processing helps to improve the quality and gradation of images by producing more natural, smooth-looking results. 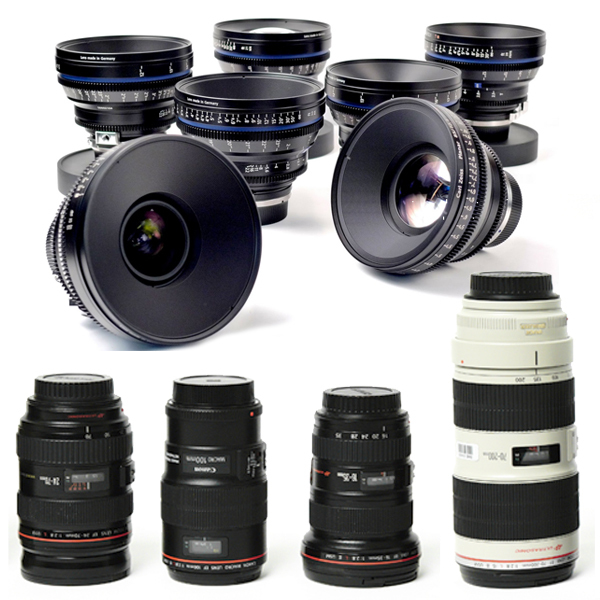 An increased ISO range is also provided, from 100 to 25600 in standard modes and 50 to 102400 in expanded modes. The ISO range can be controlled and customized depending on the user’s preferences, and additionally an auto ISO mode can be employed. This extended sensitivity range helps to counter frequently changing and difficult lighting situations and significantly minimizes noise when photographing with even the top-rated sensitivity. An intelligent metering system works in conjunction with the autofocus system and independently analyzes ‘Focus, Color, and Luminance’ within the scene for the most precise exposure settings possible. The 63 zones cover the entire image area with great detail and the dual-layer design permits a wider sensitivity to different wavelengths of light. Constructed from magnesium-alloy, the Canon 5D Mk III features a toughened housing that provides enhanced dust and weather resistance. Its ergonomic design also produces an intuitively navigable interface with an emphasis on lessening hand strain and increasing functionality. Handling is simplified and natural with this body due to the incorporation of customizable controls: You can make shooting settings with just your right hand, and fast image check and image processing operations with just your left. The redesigned grip offers easy holding when shooting or carrying the camera, while the rubber skin coating has been engineered for all day comfort in your hand and also coats the camera’s card slot cover. Additionally, there’s an internal headphone terminal and dual card slots supporting both CF and SD / SDHC / SDXC memory cards. Three recording modes are ideal for a variety of workflows: Auto switch media instructs the Canon 5D Mk III to swap cards as soon as one card is filled, a great feature for long shoots. 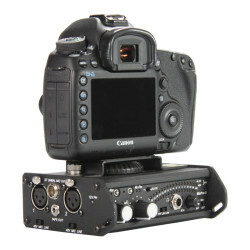 The Canon 5D Mk III can also record separately to each card. For extra security, you can set the Mark III to generate an automatic backup by recording the same file to both cards at the same time. The Canon 5D Mk III also boasts a dual-axis electronic level indicator displaying vertical and horizontal tilt on the LCD monitor–either alone or during Live View shooting. The indicator may also be displayed in the intelligent viewfinder, if you prefer. The Canon 5D Mk III’s body construction also features extensive gasketing for maximum dust and weather protection, even at connection points around the lens, hot shoe, and memory card slots. Further dust protection and removal is aided by an updated EOS Integrated Cleaning system that uses a vibration-based dust removal process. The optical viewfinder provides a 100% field of view with 0.71x magnification and a wide viewing angle of 34.1%deg;. A refined design integrates aspherical lens elements into the construction and lessens distortions and color aberrations while providing greater clarity for composing imagery. In addition to a clear view, a superimposed, transparent LCD is also incorporated. This Intelligent Viewfinder mode can be toggled on or off quickly at the touch of a button, allowing you to remove all Canon 5D Mk III’s information for unobstructed viewing. The information provided when it is on includes a customizable display of focus points and grid lines, which can also be directed to appear outside of the image area. 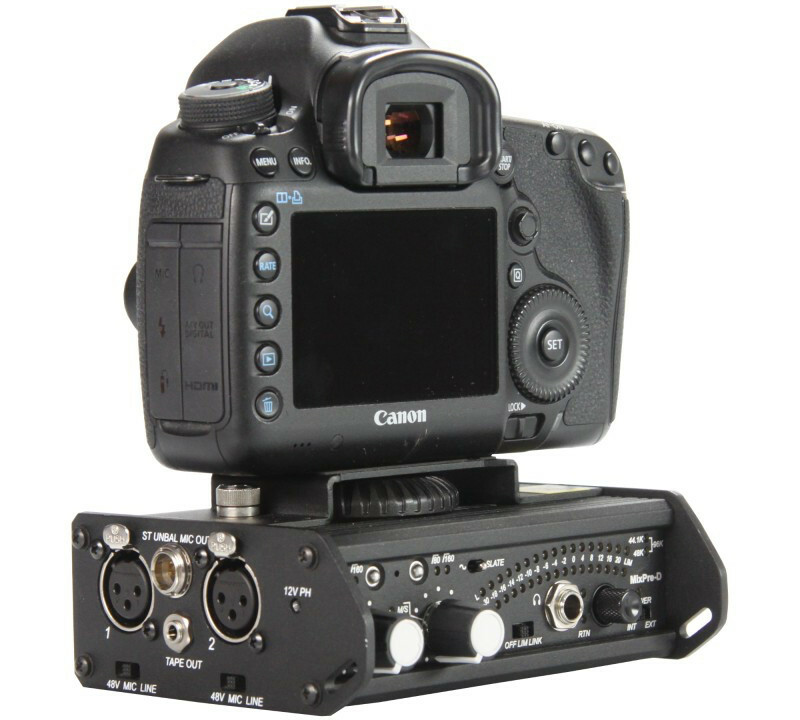 The Canon 5D Mk III Dual Axis Electronic Level can also be used in conjunction with the Intelligent Viewfinder and visually displays pitch and roll angles, aiding in properly level horizons. When used in the viewfinder, this feature can display +/- 6° of roll and +/- 4° of pitch in 1° increments when held horizontally (the inverse is shown when held vertically). The electronic level is particularly useful for landscape photographers and those working with tilt and shift lenses whose angle of view is especially critical. The expanded 3.2″ Clear View II LCD provides high quality viewing with a 1,040,000-dot resolution and anti-reflection coating. This allows for sharp and clear viewing in even the brightest of conditions and displays images and videos with great detail and richness. The display also features a viewing angle up to 170° for review from the side or below. In both single shot drive and continuous shot drive, a Silent Shutter mode can be employed to significantly reduce the sound the camera makes when shooting. By pressing the INFO button an electronic level can be engaged and will appear on the LCD monitor to indicate the horizontal and vertical tilt of your camera. This is a very helpful feature for all photographic applications, but particularly landscape and architecture photography.